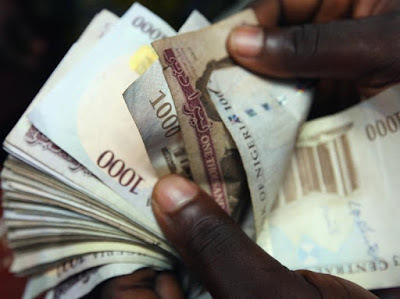 The Nigerian Naira was steady against a broadly weaker Dollar despite US-China trade tensions and global growth fears weighing on risk sentiment. With no key economic reports expected from Nigeria today, the Naira is likely to remain driven by geopolitical risk factors, the Dollar’s performance and global sentiment. However, the Naira’s medium- to long-term outlook hangs on the upcoming presidential elections and oil prices. If increased government and election-related spending ends up stimulating inflationary pressures, this is seen impacting the Naira exchange. The local currency is likely to be pressured further by falling oil prices, especially when considering how WTI Crude is struggling to keep above $52. The British Pound was gripped by anticipation this morning as investors brace for a parliamentary debate and vote on Theresa May’s Brexit ‘Plan B’ later in the day. It remains unclear how the second parliamentary vote will play out, especially when considering how ‘Plan B’ shares many similarities with ‘Plan A’ which was previously rejected by British MP’s. Although the pending vote is not legally binding, it should provide fresh insight into what the House of Commons desires regarding Brexit. While there are more than a dozen amendments suggested, Sterling is seen appreciating if the speaker chooses the Cooper and Brady amendments. Although expectations continue to mount over the government extending Article 50, it is worth noting that the unanimous agreement of all the remaining 27 EU countries will be needed for this to materialize. The truth of the matter remains that one must always expect the unexpected when dealing with Brexit, and the parliamentary Brexit vote this evening should be no exception. With exactly two months to go until the official Brexit deadline in March 2019, the clock is ticking. Sterling is likely to remain highly reactive and volatile to Brexit developments. In regards to the technical picture, the GBPUSD is bullish on the daily charts with prices trading around 1.3148 as of writing. An intraday breakout back above 1.3170 is seen opening a path towards 1.3230. This bullish setup remains valid as long as prices are able to keep above the psychological 1.3000 level. The Dollar extended losses against a basket of major currencies today as investors engaged in a bout of profit taking ahead of the FOMC statement on Wednesday. Although the Dollar continues to benefit from safe-haven flows, price action suggests that the currency remains more concerned with speculation over the Fed taking a pause on rate hikes this year. Buying sentiment towards the Dollar is seen diminishing further if the FOMC statement sounds more dovish than expected. Focusing on the technical picture, the Dollar Index is under pressure on the daily charts. A decisive breakdown below 95.60 is seen opening a path towards 95.47 and 95.00, respectively. Gold entered today’s trading session in a positive fashion as Dollar weakness and rising geopolitical risk factors boosted appetite for the safe-haven asset. With Brexit-related uncertainty, US-China trade developments and global growth fears draining risk sentiment, Gold is likely to continue glittering ahead of the FOMC statement. Focusing purely on the technical picture, Gold is seen attacking $1,308 in the near term and $1,324 in the medium term. This bullish setup remains active as long as prices are able to keep above the $1,277 higher low.